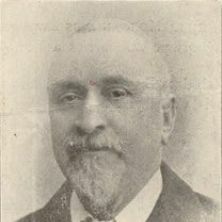 Daniel James was born on 23rd January 1848 and was one of five children born to Daniel and Mary who were married at Mynyddbach Chapel in 1844. The family lived in Llangyfelach Road, Treboeth, Swansea. Living conditions at this time would not have been easy for a large family living in a small cottage. This was the case for so many families in the industrial and mining communities of 19th Century Wales. Daniel’s childhood was cut short and he started work at aged 13 as a labourer. Through experience and hard work he became a puddler and was employed at Landore Tinplate Works until it closed around 1894. Alongside this demanding physical work Daniel mastered the intricacies of Welsh poetry. He was taught by D.W. Thomas, an elder at Mynyddbach Chapel and began to write verse under the pseudonym “Dafydd Mynyddbach, but he later assumed the Bardic name “Gwyrosydd”. Daniel married Ann Hopkins in 1871 and lived in a thatched cottage at Plas-y-Coed Terrace, Treboeth. Together they had four children and Ann died in 1871 aged just 38. In 1888 he married Gwenllian (Morgan) Parry who had returned from Russia following the death of her husband. Gwenllian had five children of her own and she and Daniel went on to have a further three children together. Following the closure of Landore tinplate works he needed to find other employment to support his large family. The family moved to Blaengarw where he worked at Ocean Colliery and Nixon Colliery. When Landore tinplate works closed in 1889 James was unemployed. So the family moved to Blaengarw in the Cynon Valley where he worked as a miner for twenty years. Six years later he lost his second wife. Mining took its toll on his health and in 1916, at the age of 68, he was given a job as a cemetery caretaker in Mountain Ash. Physical work took its toll on Daniel’s health but despite this he worked until the age of 68 before he retired from mining. He then took the job of a cemetery caretaker at Mountain Ash where he stayed until his return to Morriston. He ended his days in Swansea and died om March 11 1920 and is buried at his beloved Mynyddbach. Daniel was a hard working man who supported his large family by working in difficult and often dangerous jobs. However, his reputation suffered somewhat because of his liking of the ‘demon drink’. He was often to be found sitting in his special chair in the snug of the King’s Head, Treboeth, composing verses for anyone who would buy him a beer. His chair is now housed at Mynyddbach. It was in Caniadau Gwyrosydd that Calon Lân was published but it is not known where it was actually written. It has been suggested that Daniel wrote the words on the back of a cigarette packet in Blaengarw. This story may have some truth in it but unfortunately this does not prove or disprove where the poem was composed. 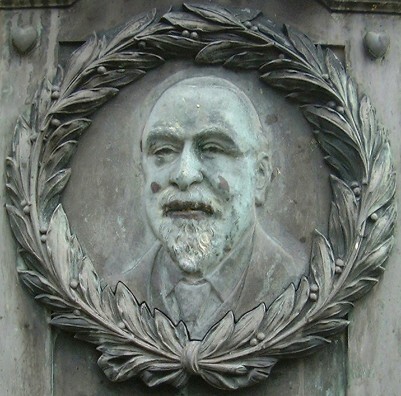 The Blaengarw Hotel is rumoured to have been the site of the song’s first public performance and words to Calon Lân have been sung over the years to four different tunes, but the most well known is by the composer, John Hughes (1872 – 1914). Calon Lân was one of the most popular hymns sung during the Revival of 1904-5. It remains an important part of Wales’ culture today and is often referred to as the country’s second national anthem. Its sentiments echo the finest Christian principles – that a pure heart is finer than any material wealth.